Crux Touchscreen Fryer Just $56! Down From $115! PLUS FREE Shipping! You are here: Home / Instagram / Crux Touchscreen Fryer Just $56! Down From $115! PLUS FREE Shipping! 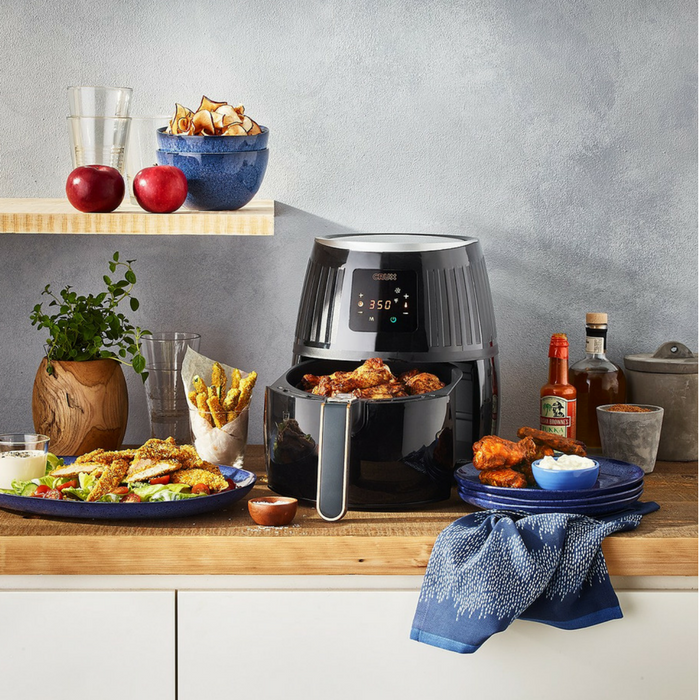 Fry your favorites with less fat with this air convection fryer from Crux, 1,500 watts of Circular Heat Technology designed to cook evenly and crisply. The stainless steel element heats and recovers quickly, making multiple batches easier.